Our hands say so much about us. 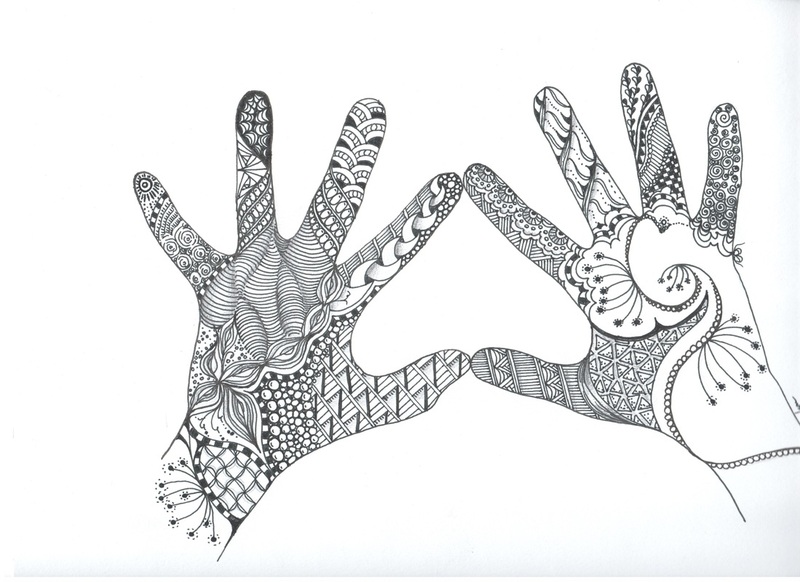 Our hands carry the story of our life. 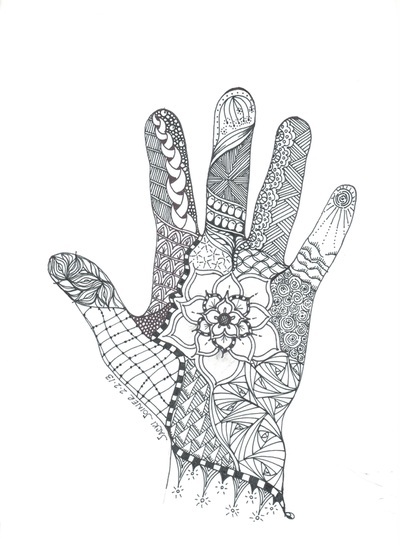 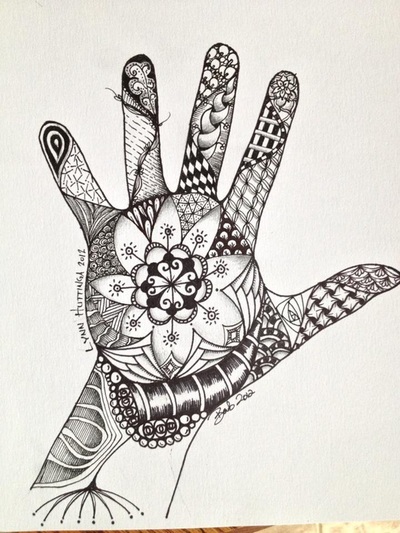 I will trace your hand and "tangle" it. 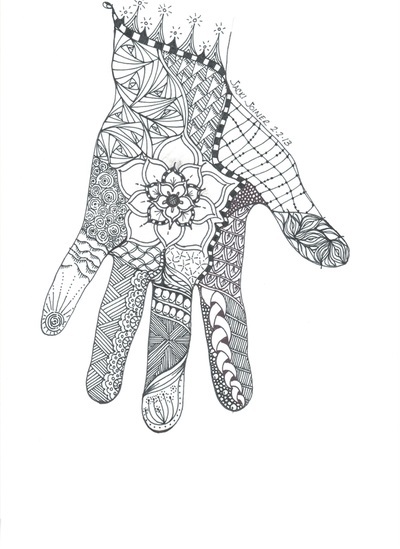 Using this form of meditative drawing as I focus my thoughts on you. Often your personality shines through in the image I create. 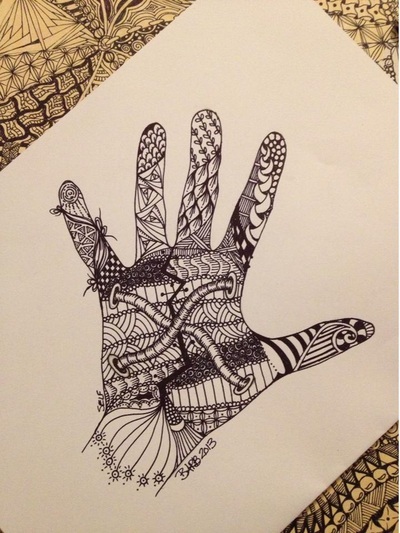 It's fascinating and fun. Live too far away? 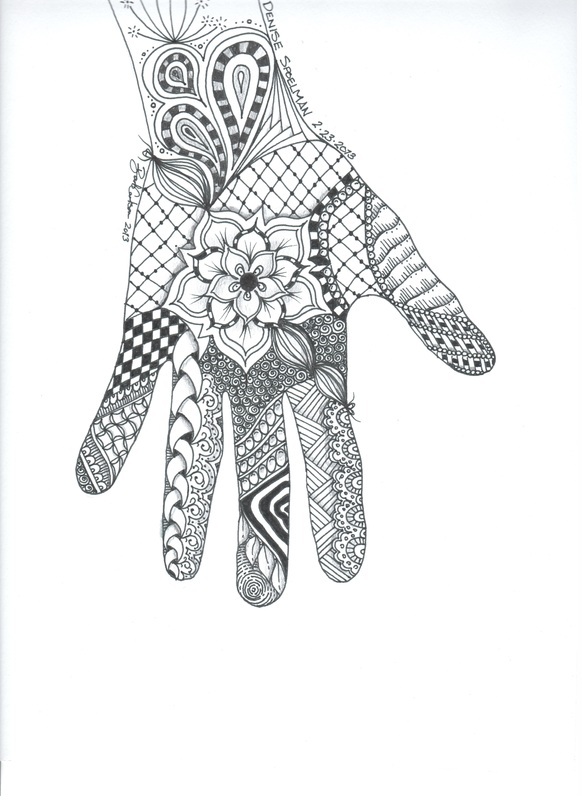 Trace your own hand and sent it to me. 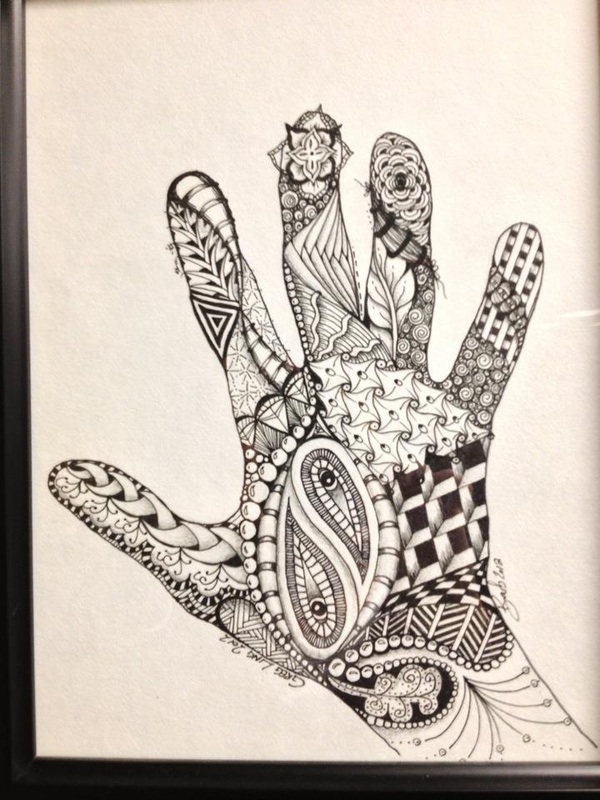 Contact me for pricing and other details. 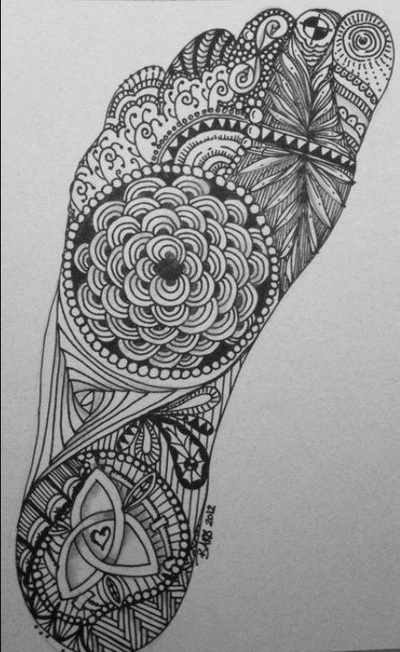 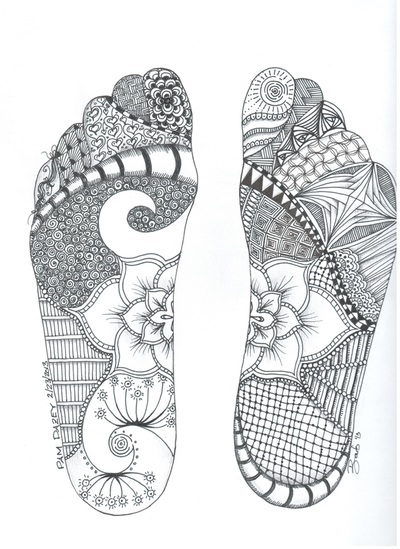 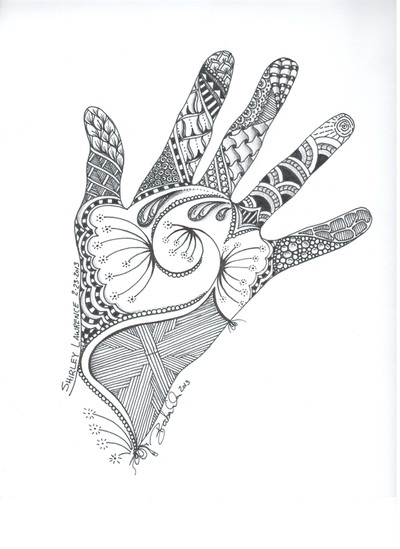 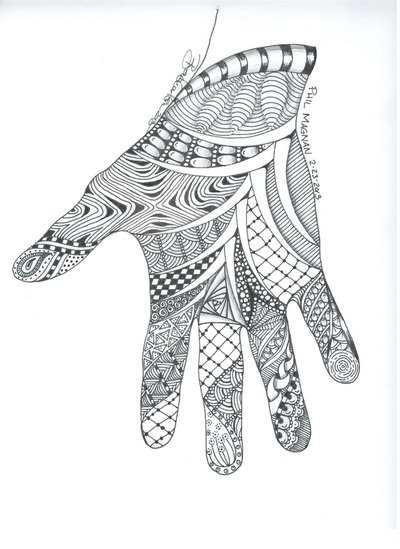 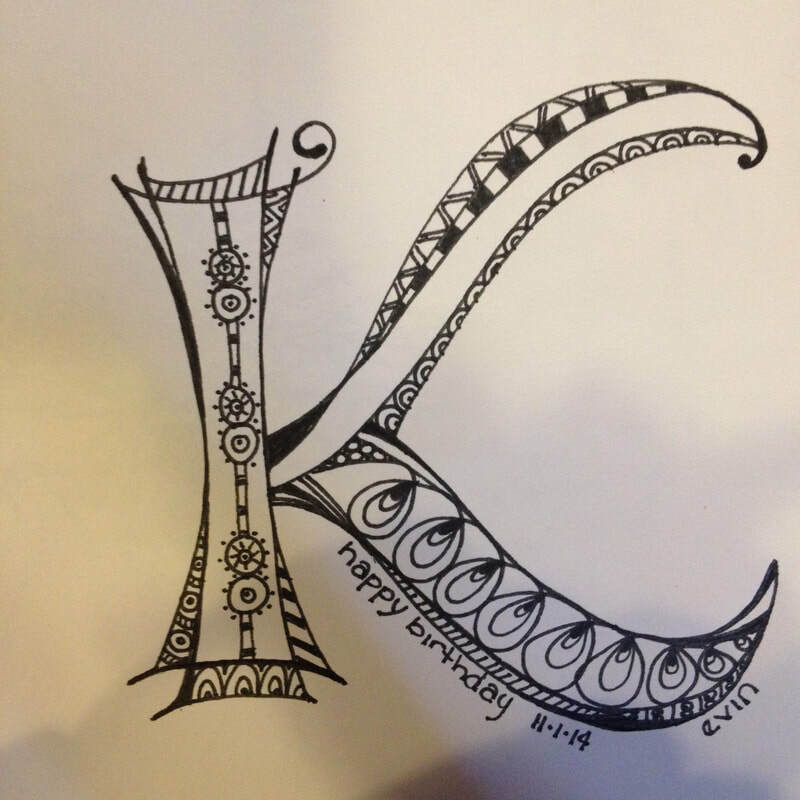 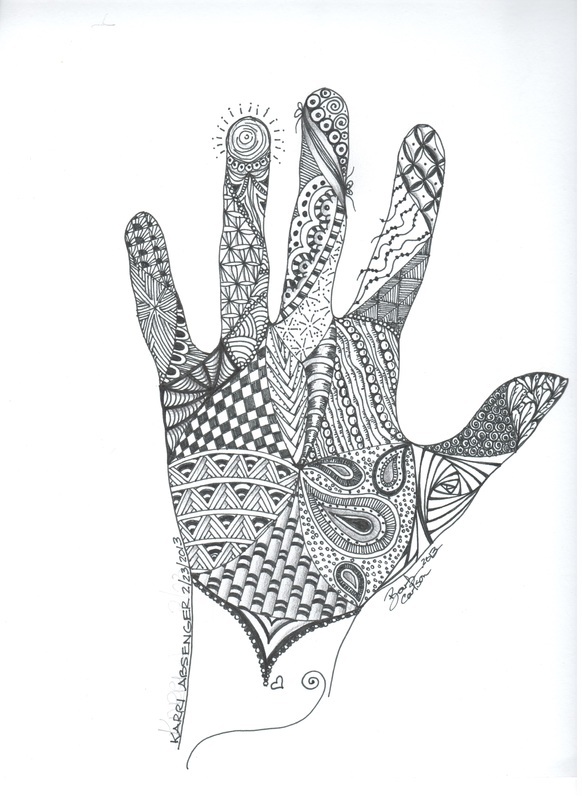 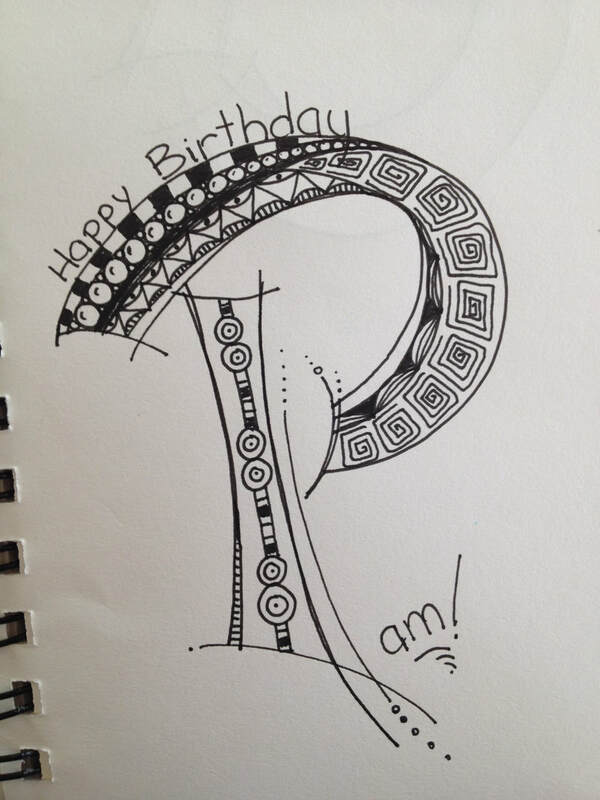 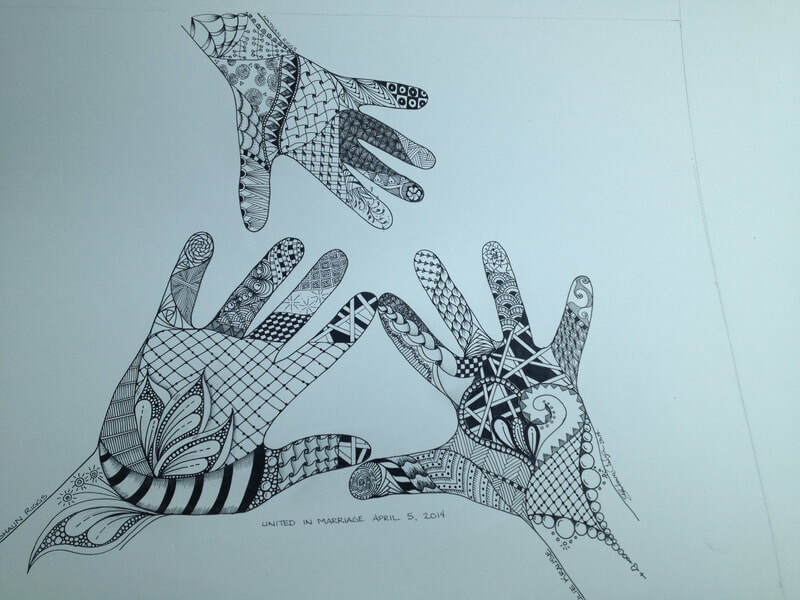 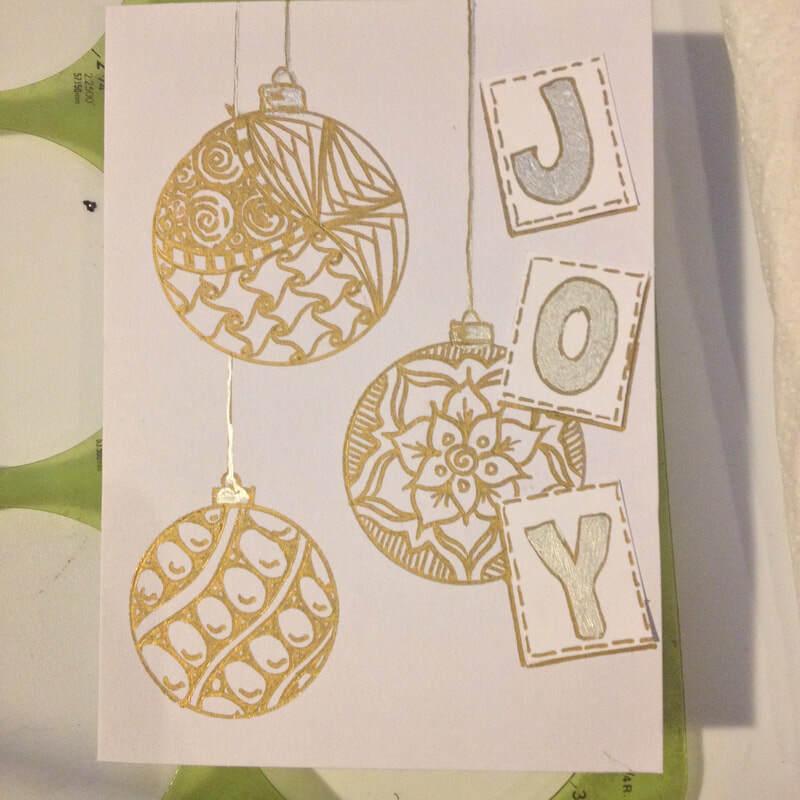 I will also host a Hand Tangling party, however, a fair amount of Zentangle experience is recommended.